Description Photo courtesy of John Jaeger. 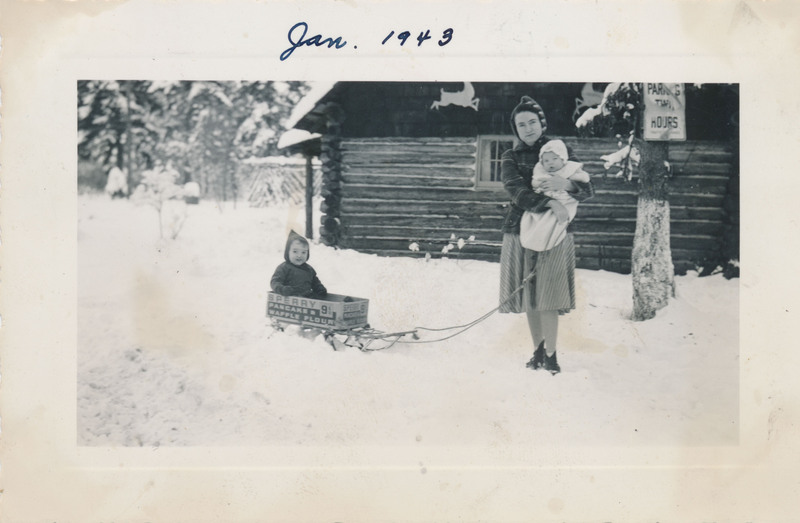 Photo shows John Jaeger in sled with his mother Wilda and brother Charles. Sled reads: "Sperry Pancake & Waffle Flour 9"